“I said at the outset that the Apostle Paul almost certainly faced a culture as wayward and difficult as our own. That fact should surely give heart to any Christian weeping over the secular city of today. Paul faced, first of all, a new and largely unformed church, riven with disputes between the Judaizers, who wished to impose old Hebraic rules, and the Hellenizers, whose message was more universal and whose understanding of human freedom was certainly more profound. 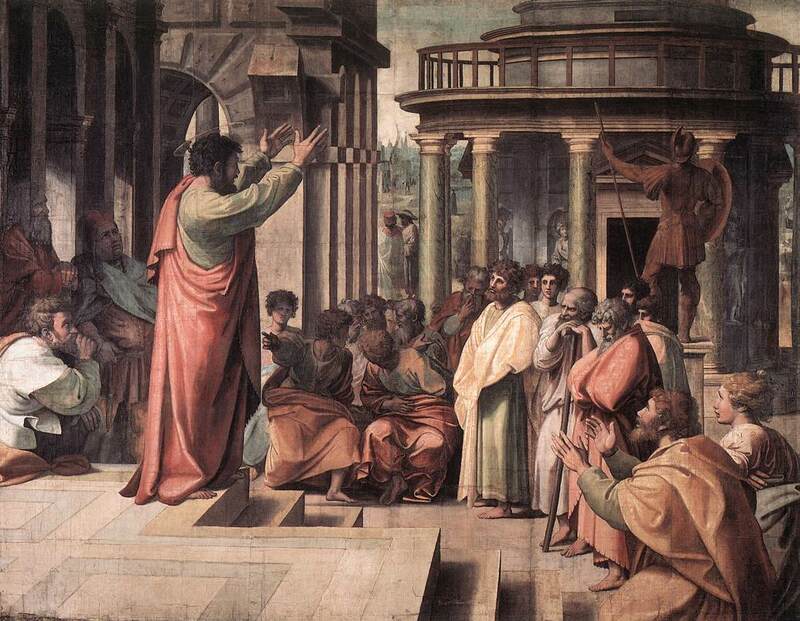 Paul faced a world with no agreed-upon scriptural canon to rely upon or even to argue about. He confronted a world which, like ours, worshiped many gods – but one, moreover, in which monotheism, the powerful idea of One True God, had nothing of the reach and power it has attained today. Paul faced conditions of moral and sexual libertinism at least as troubling as those of today – and they stared at him not just from within the general culture, but from within the church at Corinth. James Montgomery Boice & Benjamin E. Sasse, Editors, “Here We Stand! : A Call From Confessing Evangelicals For A Modern Reformation.” (New Jersey: P&R Publishing, 1996), 56. Thanks for this reminder! It is something I have pondered of late myself. It is easy to get pessimistic and think we are living in the worst possible times and worry that the Gospel has a hard struggle in our modern day. But the culture that Christianity was birthed in is actually very similar to our present time.